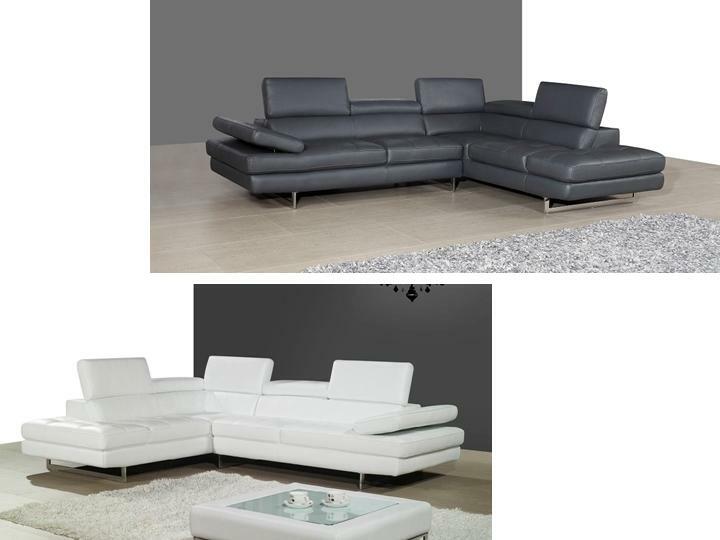 The A761 Sectional by J&M is classfully designed with padded adjustable armrest that feature a ratchet system for adjustability. 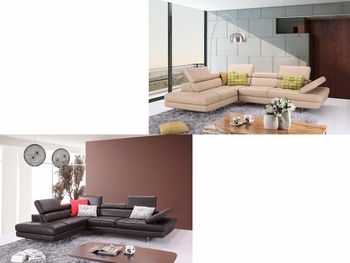 The 766 sectional also feat- -ures 6 adjustable head cushions, and boxed back, seat cushions. This beautiful sectional is Constructed with thick Italian Leather, designed for flexibility and durability. Available in Slate Grey and White.